The 2011 United Nations Pledging Conference for Development Activities was convened this morning, 8 November, at UN Headquarters in New York. The annual Conference provides member states an opportunity to declare their total financial contributions to UN operational activities for development for the coming year. Speaking on behalf of the Government of Afghanistan, H.E. Dr. Zahir Tanin, Permanent Representative of Afghanistan to the UN, thanked the UNâ€™s development agencies and all donor countries â€œfor providing vital and consistent development support for the people of Afghanistan over the last several years.â€ Amb. 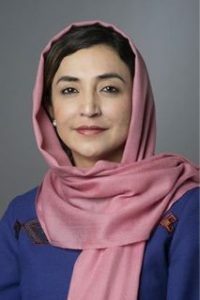 Tanin stressed Afghanistanâ€™s commitment to greater collaboration with the donor community, in accordance with the principles of national ownership and transparency. 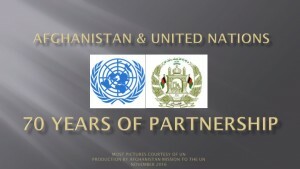 As a symbolic show of appreciation for the enormous assistance provided to Afghanistan by the UN, Amb. Tanin also promised the Afghan Governmentâ€™s contribution for this year of US$15,000 to a range of UN development agencies and programmes, a 25-fold increase from two years ago. This morningâ€™s Conference also saw the election of H.E. Mr. Kazuo Kodama of Japan as President and H.E. Mr. Jim McLay of New Zealand as Vice-President of the Pledging Conference. In total, twenty member states pledged contributions, amounting to over US$265 million altogether.